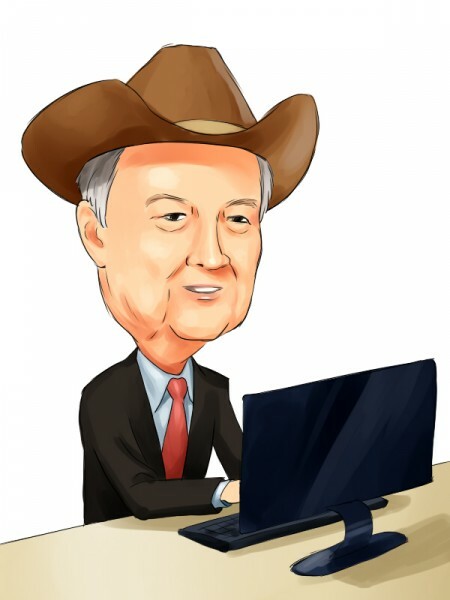 Yacktman Asset Management, founded by Donald Yacktman in 1992, is one of the most well-known, value-focused hedge funds on the Street. Prior to founding Yacktman Asset Management, Mr. Yacktman worked at Stein Roe & Farnham, and Selected Financial Services. In 1991, just prior to opening his own firm, Yacktman was named “Portfolio Manager of the Year” by Morningstar. Yacktman Asset Management recently submitted its 13F filing for the third quarter, revealing a public equity portfolio worth nearly $15.24 billion, down from the $18.74 billion in equities it held as of the end of June. During the third quarter, Yacktman reduced his holdings in 34 stocks, and at the end of September, his top-ten equity holdings accounted for 72.32% of his equity portfolio. In this article we’ll take a look at the famed value investor’s top five picks heading into the fourth quarter. Hedge funds have been underperforming the market for a very long time. However, this was mainly because of the huge fees that hedge funds charge as well as the poor performance of their short books. Hedge funds’ long positions performed actually better than the market. Small-cap stocks, activist targets, and spin offs were among the bright spots in hedge funds’ portfolios. For instance, the 15 most popular small-cap stocks among hedge funds outperformed the market by more than 53 percentage points since the end of August 2012, returning 102% (read the details here). This strategy also managed to beat the market by double digits annually in our back tests covering the 1999-2012 period. Yacktman Asset Management reduced its holding in The Coca-Cola Co (NYSE:KO) by 5.6 million shares during the July-September period. Although shares of The Coca-Cola Co (NYSE:KO) suffered a massive decline in August, they have recovered since then and currently trade nearly flat for the year. The company has been struggling with growth in the past several quarters, which has made some investors cautious towards the stock. However, analysts believe that keeping the dividend track record of the beverage giant, which has continuously increased its quarterly dividend every year for the past five decades, in mind, its stock performance will soon come out of this stagnant phase. Recently, famous activist investor Bill Ackman commented that he thinks The Coca-Cola Co is “deeply immoral”, which has raised speculation on the Street that he might be planning to build a massive short position in the stock, though being “immoral” does not in and of itself imply that Ackman thinks the stock will decline and that he would therefore think it wise to short it. Investing legend Warren Buffett‘s Berkshire Hathaway continued to hold its massive stake of 400 million shares of The Coca-Cola Co at the end of September. After suffering a continuous decline during the first seven months of the year, the shares of food distributor SYSCO Corporation (NYSE:SYY) witnessed a rally in August, which sent them up by 8.78% for the third quarter. Perhaps the rally in SYSCO Corporation (NYSE:SYY) shares during the third quarter was one of the reasons why Yacktman Asset Management unloaded over 8.0 million shares of the company during the period. The stock of SYSCO Corporation went below its 50-day moving average on November 12, which technical analysts believe is a bearish sign for the stock in the near to medium-term. Nelson Peltz‘s Trian Partners tripled its stake in the company during the third quarter to over 41 million shares and landed two seats on its board of directors. Yacktman’s top three value picks can be found on the next page.